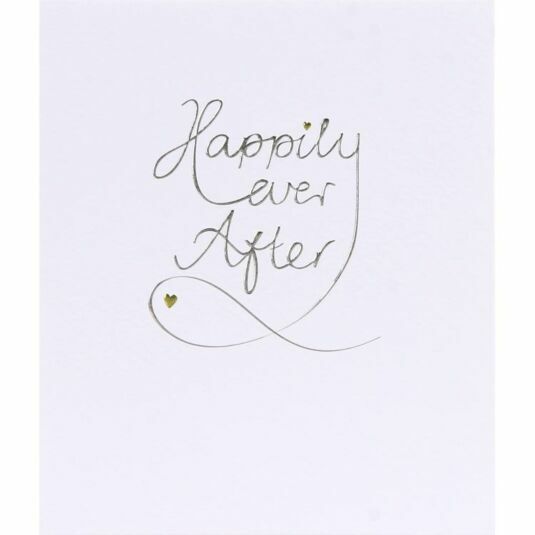 in embossed silver script on a textured surface, decorated with two tiny golden hearts. The inside of the card reads Congratulations to you both on this special day. The card measures 13.5cm x 16cm and comes with a brown paper envelope.